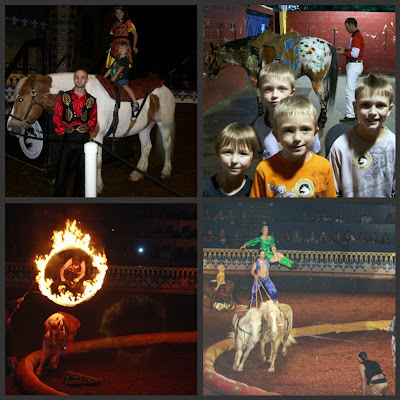 Life With 4 Boys: What Do Tornados and Arabian Horses Have in Common? What Do Tornados and Arabian Horses Have in Common? We saw both on our second day in Kissimmee. I managed to sneak in a little learning on this vacation with a trip to the Orlando Science Center and then the boys and I rounded out the evening with a delicious dinner and show at Arabian Nights! Once we got back to the room we were beat, but it was all so worth it. The Orlando Science Center was only about a 30 minute drive from the hotel, but I literally could have kissed the ground when we arrived. Let me just say that 5 lanes of bumper to bumper traffic and people who do not know what a blinker is, is not necessarily my cup of tea. However, the science center was amazing. Only $17.00 for adults and $11.00 for children, this is an amazing value for your next visit to the area. With four floors, jam packed with interactive activities for kids of all ages, you really can't go wrong. 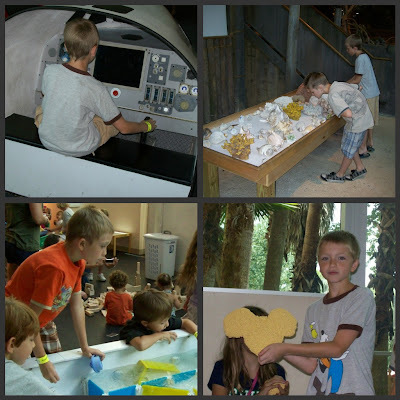 From making a tornado appear in front of your eyes to digging for dinosaur bones and feeding alligators, the experiences here are one of a kind. Among the boys' favorites were the hurricane wind machine and the KidsTown center, which is actually a small play sized town for children. Arabian Nights is also a pleasure to go see. After our obligatory photo at the front entrance, we headed to the back to go see the stables and get a photo of the boys on one of the shows horses. This coupled with the ability to have front row seating for the show makes the VIP upgrades a great value. The horses of course are beautiful and there is danger, humor, and even a bit of really talented magic mixed into the show. 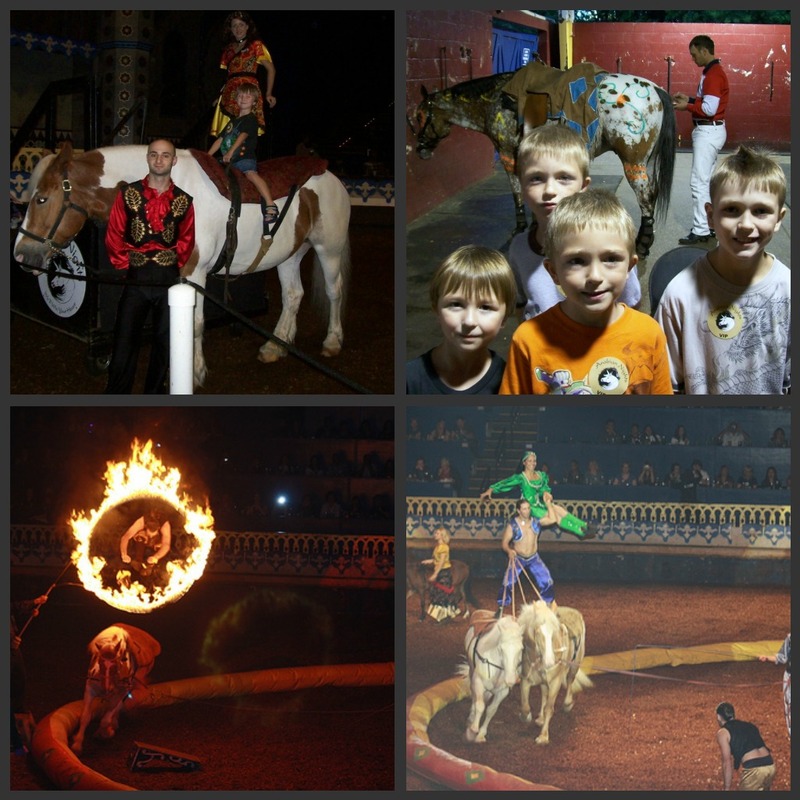 From western riding to gypsy themed riding tricks, the kids will be on the edge of their seat the entire time. The food is good quality, not five star restaurant good, but tasting and served hot. The waitstaff is amazing and your drink is never even close to empty. 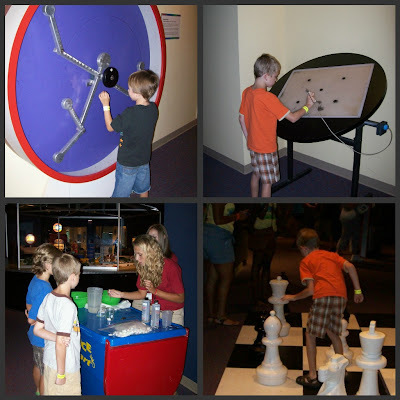 The science center sounds like a lot of fun! Anything hands on like that is great for kids. Looks like a lot of fun. I love science centers. It's been years since I've been to one but I would love to take my step daughter someday soon - I think she would really enjoy it.